Age UK 01372 732 456 an information and advice service that is open for telephone enquiries and personal callers. Offers: Benefits Advice, Car Scheme, Chiropody/Foot care/Nail cutting, Events, Handyman, Home safety, IT/computer training, Lunch Club, Other Health & Care Services, Other Information & Advice, Other practical support, Personal Aids & Appliances, Social Club, Traders register. Open Mon-Fri 9.30am – 1pm. 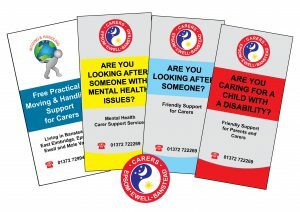 Carers of Epsom 01372 722269 provide support for unpaid carers who are usually at home with long-term sick or frail people. In addition, they keep in touch through a monthly newsletter; hold 4 coffee mornings a month around the borough, and organise trips throughout the year. Epsom Victim Support 01372 743650 supports victims of crime by providing a quick response to a potentially distressing situation. A sympathetic ear and some basic practical advice are given, as well as support to those seriously affected and who need help in order to recover. Information on a range of matters including home security, compensation claims and court proceedings is provided free, and always confidentially. Volunteer Action Mid Surrey 01372 722911 provides information on a range of volunteering opportunities within the local area. Volunteer Action Mid Surrey works with the local voluntary and community sector providing information, advice and a variety of support services. www.vamidsurrey.org. Mid Surrey Advocacy for Mental Health 01372 748299 is a charity that also runs a direct advocacy service in Epsom Hospital. Help and support is provided for people with mental health problems in making their own decisions and in representing themselves. The Service will also speak for those who request it and will represent their wishes as if they were their own. The Contact Centre telephone – 01372 732000. The County Contact Centre number is 03456 009 009. Longmead Centre, Sefton Road, Epsom. Mondays, Tuesdays & Thursdays 9:30-14:30, by appointment. Home visits also provided, 01372 747077. Police Neighbourhood Beat Officers – Eddie Adderley, Elena Boafo, PCSO Oliver Wright & Sedhra Naeem. Samaritans: General number: 08457 909090 (Leatherhead: 01372 375555) 24 hours. *** No collections from post boxes are made on Sundays or bank holidays.